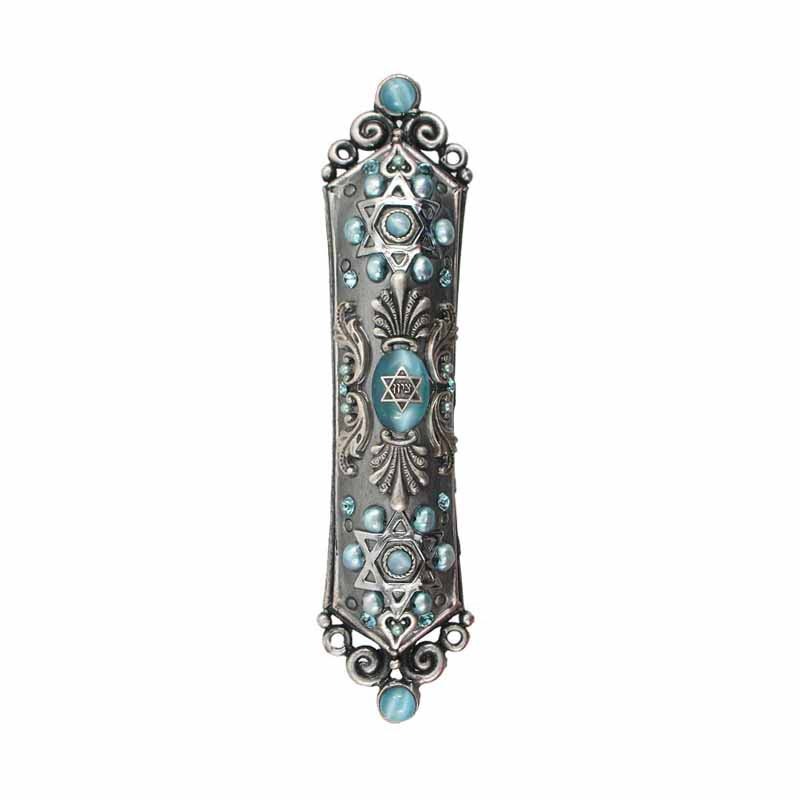 Cat’s eye stones and colored freshwater pearls add icy blue accents for a gorgeous winter inspired Mezuzah. This chic and timeless piece would go great in a classically decorated home. The cool and neutral color palette means it won’t clash with most wall colors. 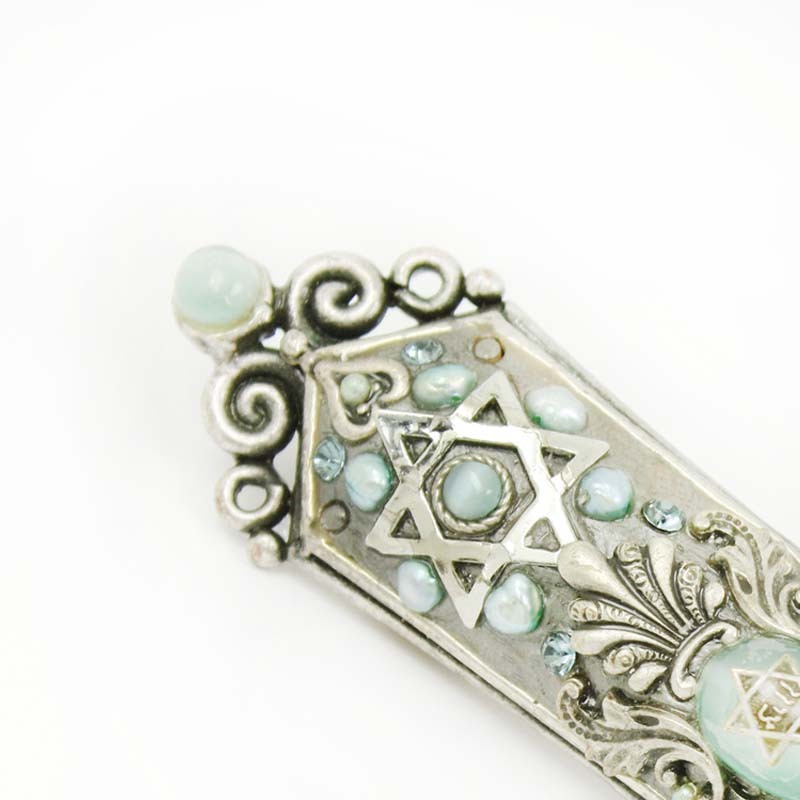 Star of David accents add a spiritual look to this pretty mezuzah. -Comes with a non-kosher scroll & mounting screws. Note: Check The Jewelry section to know about care instructions.